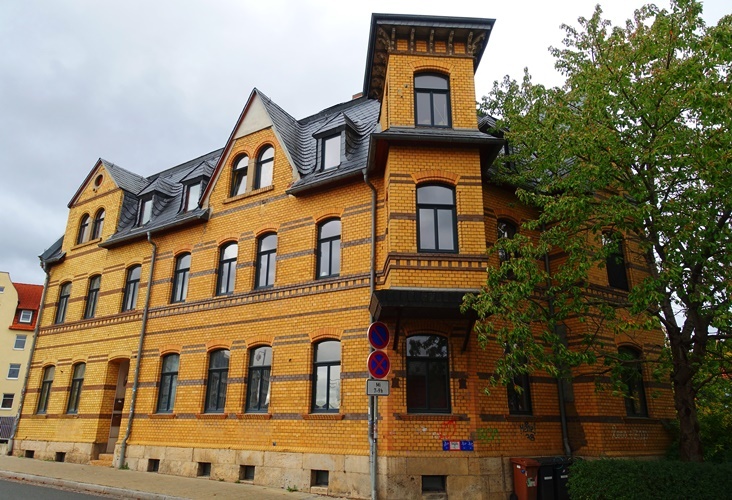 Tonight I am a bit miserable as I nurse a cold, so will just share some pictures of some of the beautiful brick buildings in Jena. This brick building is huge. Just imagine how many bricks are in this building. What I really like is the combination of stone and brick to create the patterns. Especially at the corners of the building. I like the solid colors of most of this building with the different accents that go along with the beautiful slate roof. 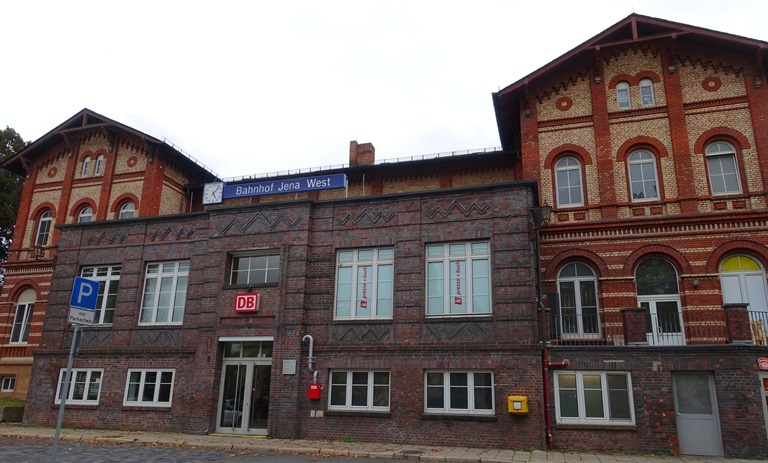 I have always liked the brickwork of the train station at Jena West. Here you see a combination of the older ornate section and a newer utilitarian section. However, if you look closely it also has some interesting patterns. 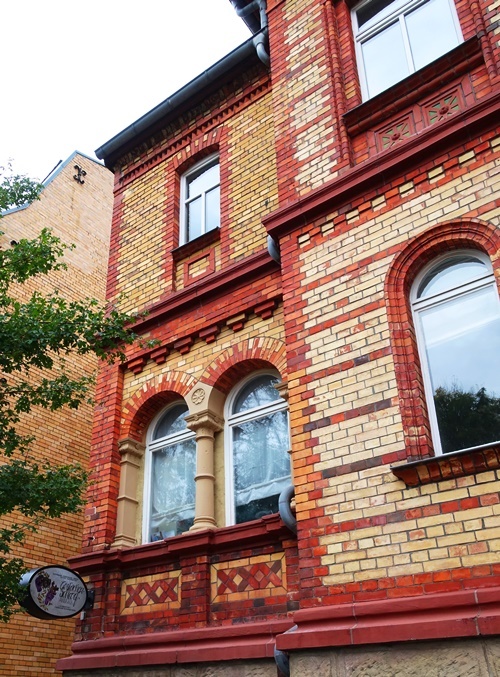 Look at the very ornate brick work of this building. So many patterns and color combinations. I sometimes think what it would be like to be a mason and create brick laying masterpieces like this. However, I am not sure I would like the back breaking work of hefting bricks and mortar all day. 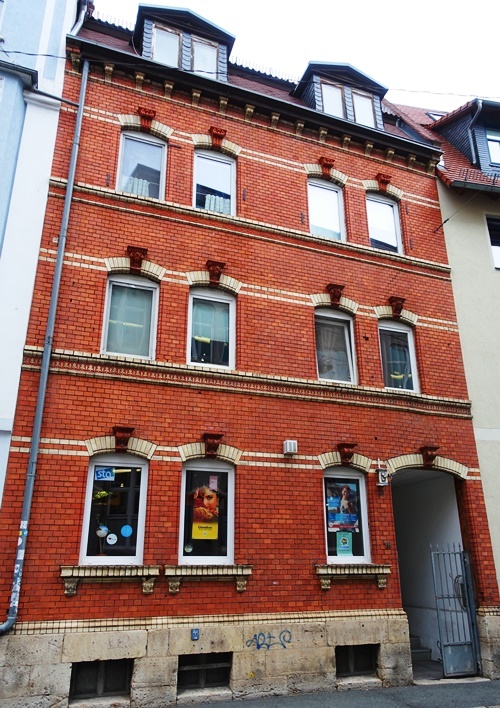 This building has a simpler pattern, but is still beautiful with the accents around the windows. I really like the little capstone over each window and the door. 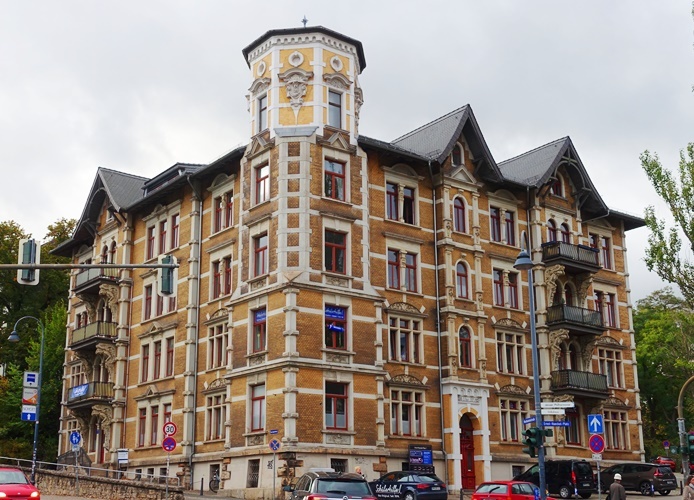 This entry was posted in Germany, Travel and tagged Architecture, brick buildings, building, Jena, jena germany, masonary, patterns. Bookmark the permalink.